Product categories of SMT Feeder Cart, we are specialized manufacturers from China, SMT Feeder Cart, Smt Feeder Trolley suppliers/factory, wholesale high-quality products of Nxt Feeder Trolley R & D and manufacturing, we have the perfect after-sales service and technical support. Look forward to your cooperation! SMT Feeder Cart is used to store component feeder units on SMT Production Line. It is used in the preparation area or in the buffer area for SMT component feeders. 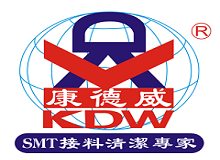 KDW is developing high quality SMT Feeder Carts. KDW Feeder Carts are designed for all SMT Machine brands. We are producing feeder carts for Yamaha, Siemens, Samsung, Fuji, Juki, Panasonic, I-Pulse, Philips, and Sony SMT feeders. KDW offers stainless and aluminum type SMT Feeder Carts. We also have Feeder Carts that can be assemble/disassemble. The KDW feeder carts are guaranteed to be made from high quality materials and produced with high quality workmanship. Contact us if you would like to request for a copy of the SMT Feeder Carts Catalog.